With electricity costs on the rise, you need to do all you can to reduce your electricity consumption. A chunk of the electricity consumption in an average household comes from electrical appliances. 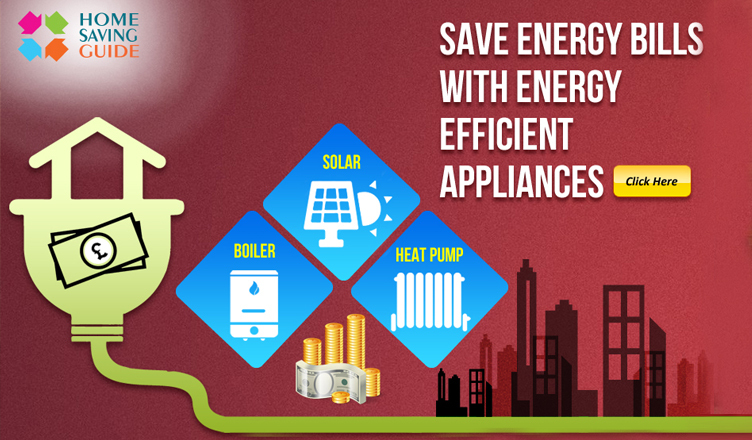 Using energy efficient appliances can bring down your electricity consumption and your monthly electricity bills. Modern electrical appliances have an energy rating from A (most efficient) to G (least efficient). While buying appliances, check the energy rating and buy an energy efficient one. Although cost of the appliance may increase with its energy rating, they are a good investment because of the long term savings they yield. It is not always necessary to buy appliances with the highest rating. It typically depends on your usage of the appliance, i.e., what size do you actually need and how often would you use it. You need to balance cost of the appliance with annual savings to decide which energy level is appropriate for you. Also, within the same energy rating, the running cost in terms of annual energy consumption may vary. So, take time to understand the energy label and compare products within the same energy ratings. Boilers take up 50% of your annual electricity bills. If you have an outdated boiler, replace it with a modern, condensing boiler which is most energy efficient. Buy televisions with light sensors and with screen blanking and auto-turn off features that shut off the device when idle for a specified time. Tumble dryers may have a running cost of £25-100 a year. Condenser tumble dryers with heat pumps are highly energy efficient and have a very less annual running cost compared to conventional ones. While buying washing machines, choose one that is the right capacity for your family. Larger machines will cost more and may not yield high savings when not used to full capacity. Refrigerators consume a large amount of energy as they are left on 24/7. So, it is important to buy one just large for your requirement and with an energy rating of A+ or above. An energy saving dish-washer can save you £40 a year. Buy one with an in-built eco program to use water and electricity efficiently. In UK, widespread use of these energy efficient appliances is expected to generate annual net savings in excess of £850 million a year apart from reducing greenhouse emissions. So, next time you are thinking of buying a new electrical appliance for your house, make sure you go for an energy efficient one. Should You Go For Lasik? Copyright © 2019 Home Saving Guide.